It's a perfect balance; with these dual shades, you can adjust the vanes to direct the sunlight or roll down the blinds to block it completely. The clean lines of the shades reflect the traditional look of this living room and because of the matching valance that covers the hardware, no other window treatment is necessary. Perfect for an office, these dual roller shades offer privacy when you need it, and filtered sunlight when you want it. Choose a beige color to bring out the wood tones of your desk. 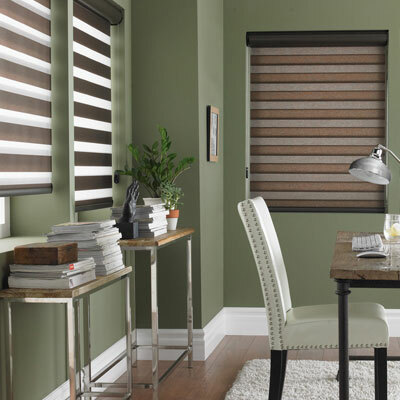 Simple and elegant, this window treatment will blend in with any décor and show your clients that you mean business. The clean and crisp lines of these dual shades work beautifully with this living room's traditional décor. The light ivory color complements the wainscoting and crown molding by matching the woodwork while not overpowering the room. Adjust the vanes to control the amount of sunlight and privacy. Soft accessories around the room complete the look. Large open spaces in homes sometimes need a bit of seclusion. 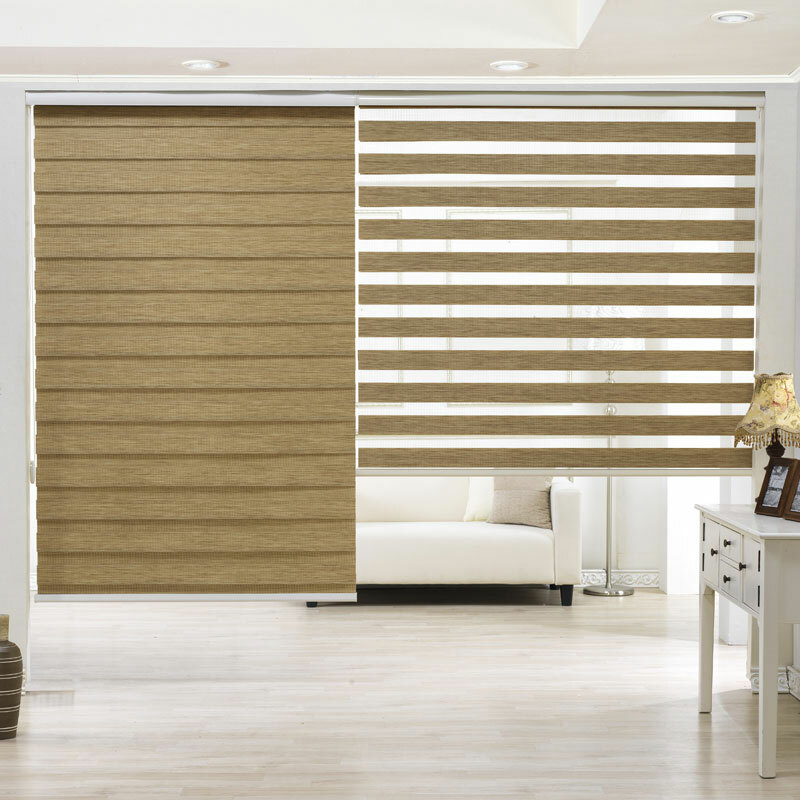 Here's an idea – install these beautiful dual wood look shades as a room divider. Pull them down to block the view and offer privacy when you need it or roll them up and keep them out of the way when you don't. Enhance the look of your dark wood furniture with these simple slider dual shades. 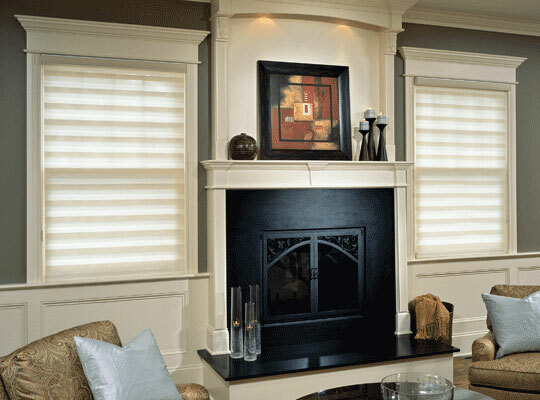 Complement the dining room's elegant and traditional décor with the clean lines of this window treatment. These shades allow you to control the amount of sunlight filtering through to bathe the room in a soft glow.